A couple of weeks ago I had the privilege of playing live in Browns Hotel, the pub in Laugharne where Dylan Thomas spent many an evening, and the following weekend I was part of ‘Not Much Dylan Day’ the annual fundraising gig at the Cluny in Newcastle which uses Bob Dylan songs as a brilliant excuse to raise money for the North East of England Children’s Cancer Fund. 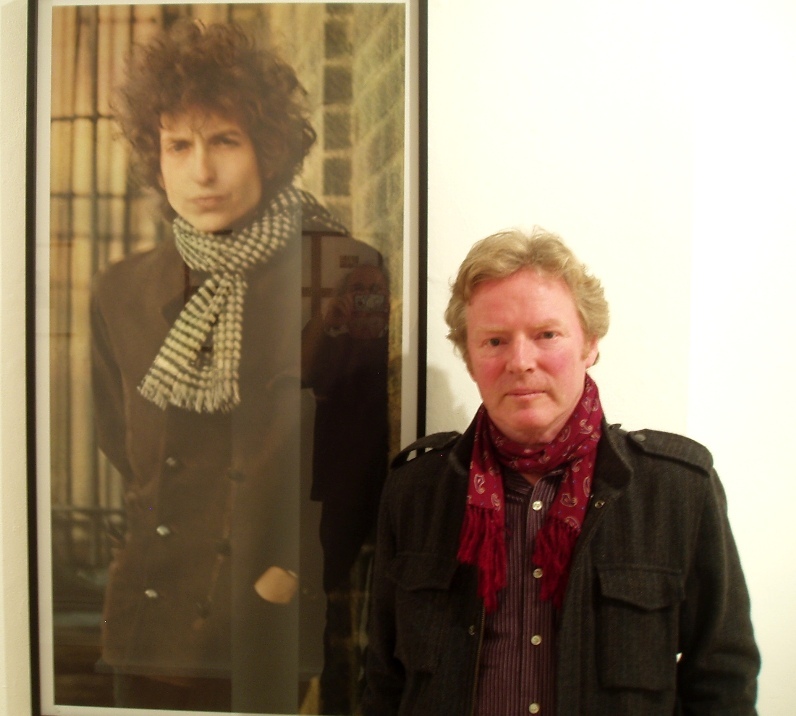 Reg photographed by Jerry Schatzberg – the photographer who took the original Blonde on Blonde cover picture behind. Dylan Thomas and Bob Dylan both opened my eyes to new possibilities when I was young and already writing myself. I’d been reading since I was two, and my staples were bible stories and war poetry. When I read my first Dylan Thomas poetry I was probably about 12, and I felt really excited. It wasn’t so unlike the stories and poems I’d been reading, but the language he used took everything so much further and brought it bang up to date for me. I used to read his words out loud and make up tunes to them. My mother would come into the room and she wouldn’t bat an eyelid, it was great. I enjoyed the richness and the juxtaposition of the words so much. The meaning wasn’t even the important thing, it was how the words sat and sounded together that I loved and that inspired me to look at language in a completely new way. In the early 60s we had a lodger who used to be able to tune into the pirate stations. I’m sure he was the only person in Yateley, where I grew up, who knew how to do this. When I was about 14 I’d sit in his room and listen to music that you just couldn’t hear anywhere else, especially music from America. I remember hearing Bob Dylan and loving the travelling hobo image and the classic new sound. The way he was telling his life through his songs really appealed to me: he wasn’t just singing about his loves but about everything going on around him – people, places and politics. Hearing ‘Positively 4th Street’ for the first time was a real turning point for me. It was so angry and bitter, and so personal, and yet it was really acceptable as a song. I felt liberated because it echoed so well how I was feeling and how I wanted to express myself. My songwriting gave me a vehicle that took me relatively safely through those terrifying teenage years. I would still have done what I did (and am still doing now) without Bob Dylan, but I felt I’d found a kindred spirit.. a like minded soul with the same needs as me, and it really spurred me on. Dylan Thomas too, they both expressed themselves in a way that was emotionally honest but in a way that was acceptable and meaningful to the listener/reader. Much later, in 1979, I remember going back home, sitting on the bed where I wrote and practised my earliest songs. The window was open and I could hear Bob Dylan soundchecking at Black Bush which was really close by. It was an emotional moment of reflection on his influence. Both ‘Dylans’ opened my eyes and my ears to new possibilities, and both helped me on my way. 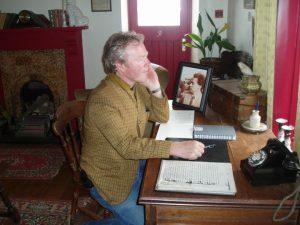 Nice piece of writing about Reg and his personal connection to Bob Dylan and his recent brush with the background of that great poet and Welsh man Dylan Thomas. 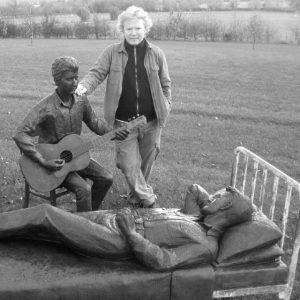 Hoping for a (Bob) Dylan Song from Reg at http://www.thecluny.com this Saturday 13th August.